The sweet treat that’s been a Maine tradition for almost 100 years. Is it a cookie? A cake? A pie? A dessert sandwich? When it comes to the Maine whoopie pie, the answer is all of the above. In its most basic form, a whoopie pie is made up of two dark chocolate cake discs about the size of a hamburger bun with a layer of sweet, creamy, thick white frosting sandwiched between them. While the origins of the treat are up for debate, Maine claims to be the birthplace of its invention: The first whoopie pies came out of a Lewiston, Maine bakery in 1925. So what is it about this iconic Maine treat that has bakers from one end of the state to the other turning them out of their ovens as fast as their patrons can gobble them up? 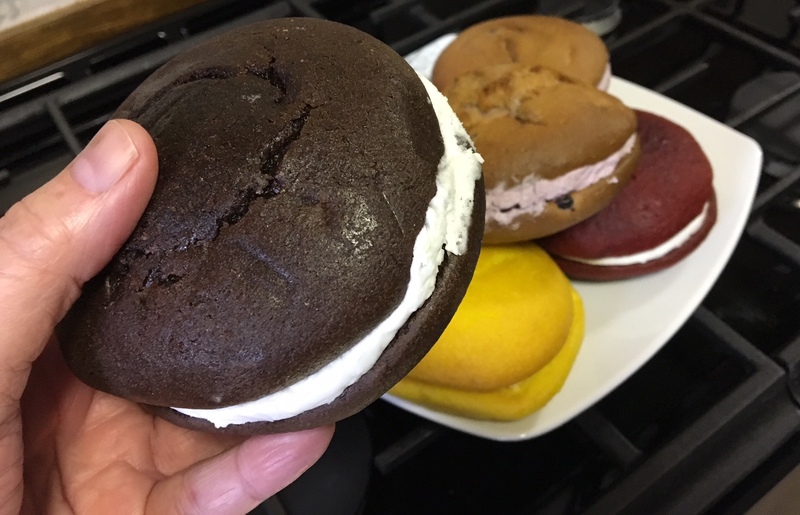 As host of the festival, the tiny central Maine town of Dover Foxcroft (population 4,200) becomes the epicenter of everything whoopie pie for one afternoon in June. With that celebration comes the encouragement for bakers to go wild with ingredients like berries, nuts, spices and other flavors. The festival is not the only time to enjoy whoopie pies in Maine. You can find the treats on counters in bakeries around the state. 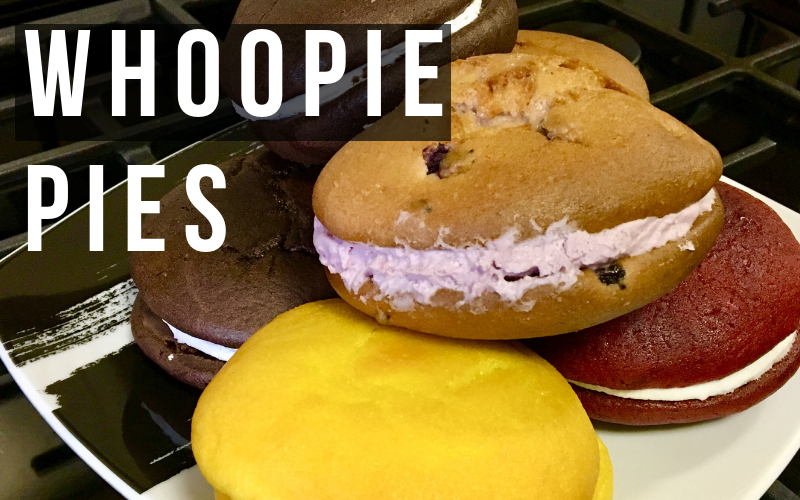 Alongside the traditional dark chocolate version, it’s not unusual to see lemon whoopie pies, blueberry whoopie pies, peanut butter whoopie pies, butterscotch whoopie pies, cookies ‘n cream whoopie pies, bacon whoopie pies, coffee whoopie pies, and other creative versions. Holly Hardwick, owner of Northwoods Nectar (a traditional maple syrup producer in northern Maine), may have stumbled upon the most Maine version of all possibilities with her maple whoopie pies. Hardwick dreamed up the idea of a maple whoopie pie and in 2014 convinced her baker friend Carol Jandreau to try making some. It was a huge success from day one and now Hardwick takes orders for thousands of her creations every year. Like any successful movement, the whoopie pies have divisions within the ranks. For some, the cake layers must have the consistency of a devils food cake with about a quarter inch of filling sandwiched between them. What’s more, that filling must include Marshmallow Fluff as the base ingredient along with powdered sugar, vanilla and shortening. For others, a firmer cake is key and they wouldn’t touch Marshmallow Fluff filling with a 10-foot spatula. For these eaters, the preferred filling is a combination of egg whites, corn syrup and powdered sugar. The thousands of attendees at the 2018 event gobbled up more than 20,000 whoopie pies! 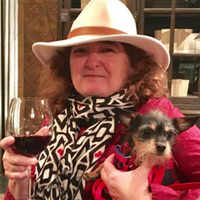 Julia Bayly, an award-winning journalist based in Maine, writes about traveling with her sidekick Chiclet the rescue dog at travelswithchiclet.com.